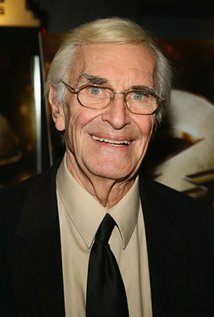 Martin Landau has passed away at age 89. When you have a guy who was in the game for as long as he was. When you have a guy who has several TV and movie roles to fill his resume. When you have a guy who has a wide assortment of roles to discuss. It can be incredibly hard to know where to start. Martin Landau is an actor I enjoyed both on my television set and in the movies. I guess the best way to discuss the works of Martin Landau is to just jump right into it. Try to discuss what made his career so special and how he touched so many people's hearts. I can't discuss Landau's television career without mentioning "Mission: Impossible." This may surprise some people, but I loved the original "Mission: Impossible" show. I absolutely adored the work Landau did on the show. I loved his character Rollin Hand. He was the first real master of disguise. That was a skill James Bond never really had in his arsenal. Before "Mission: Impossible" began the use of those freaky masks, there was Rollin Hand, who was the master of disguise. Landau did some of the finest work of his career on that show. He helped bring the show into its peak of popularity. He also just created a wonderful, memorable character. The next big thing to look for in his television career was the "Twilight Zone" episode "Mr. Denton on Doomsday." One of the few episodes that dove into the Western genre. Martin Landau is also special for me because he was a central character in one of my favorite films of all time. A film that has stuck with me and has remained one of my favorite films of all time since high school. I am speaking of Woody Allen's "Crimes And Misdemeanors." A movie featuring two stories that blend together. Landau plays an eye doctor who has gained much power and privilege in his life and his community as a doctor. The only bad area of his life is his mistress, the woman he's been having an affair with for seemingly many years. The mistress (played by Anjelica Huston) plans to meet with Landau's wife and spill the beans on their arrangement. He turns to his brother who has connections to the mafia, and he decides to have his mistress killed. The guilt over that decision haunts him for awhile. Landau plays a man who is a pillar of his community, he is shown in a positive light and a good man. He watch this good man descend into darkness just to keep his hands clean. But if he had to walk into the darkness just to continue the life he always knew, was he ever a good person in the first place? Should he have pushed that button if he couldn't live with it? What's even crazier is that eventually he loses his guilt and its like his mistress never existed. How can you just one day wake up and forget a person you had an entire life with? Landau's work in this film is fascinating and he kept my interest every single time I sit down to watch the movie. We could go on and on about the great parts of Landau's career. We have to mention "North By Northwest," the first Alfred Hitchcock film my father ever presented to me and featured a great performance by Landau. There is also Tim Burton's "Ed Wood," Which features a great Landau performance. In fact, if you check into "Frankenweeine" he did a voice for Burton for that film. Landau appeared in "Cleopatra" and if you honestly have the time and the attention to watch that movie, have at it. Also, there was a time when I was a big fan of pro wrestling. Yes, go ahead and laugh but it was when I was a kid. I enjoyed WWF and WCW, but I leaned on WCW more. So when they made a movie featuring the WCW wrestlers, I got a kick out it. There is a small role from Landau in the film "Ready To Rumble" and he made me laugh out loud. Martin Landau will be missed.